JACLab (Japan Arts Connection Lab) sponsored Taste of WA at Sakura Con 2015. 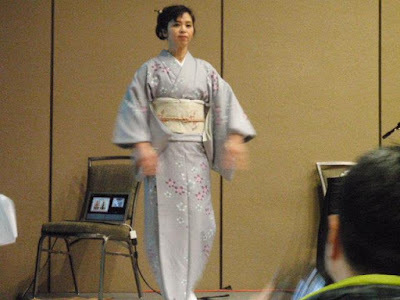 The event featured a lecture on the philosophy and history of samurai, a kimono dressing demonstration, and Butoh dance performance. 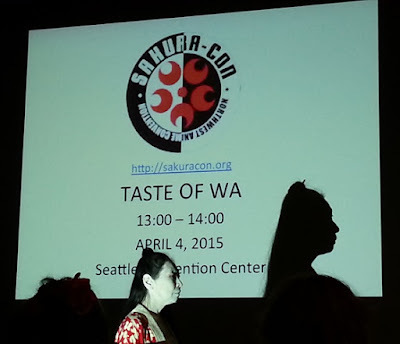 WA means harmony and is also a name for Japan. 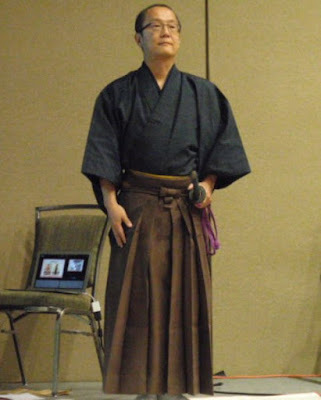 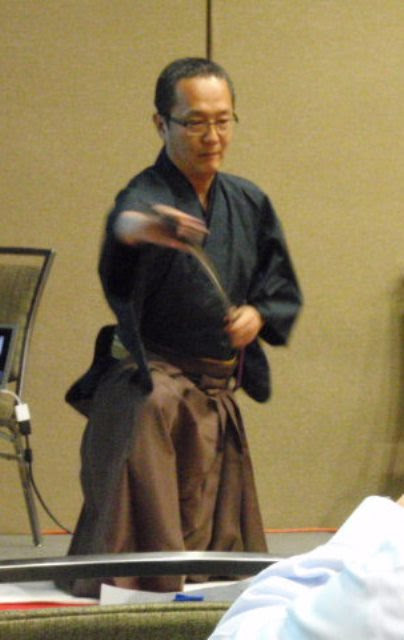 Hiroshi Onaka, a kenpo and sword-drawing specialist, explained the history and philosophy of samurai followed by a sword-drawing demonstration. Mariko Kayama provided a demonstration of kimono dressing. 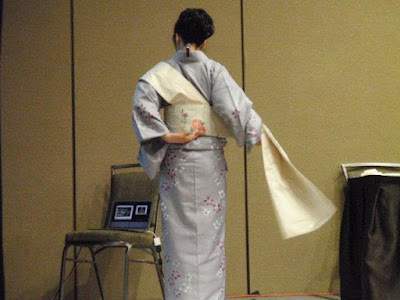 The process of dressing in kimono can take up to an hour for beginners. Mariko proved that with enough training, it can be done in just minutes. 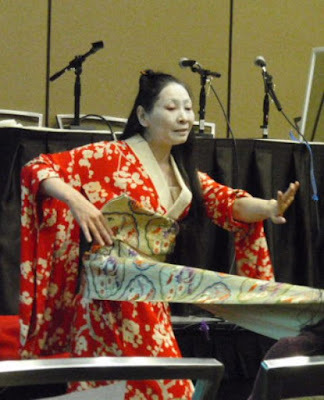 Kaoru Okumura has been studying and performing Butoh dance since 1993. Butoh is a relatively new and avant garde form of dance theater that began in Japan in 1959. 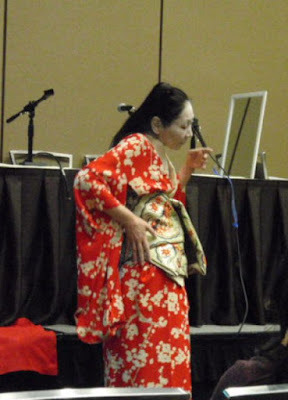 For many first-time observers, Butoh may seem quite unusual and it was wonderful to see such an enthusiastic response from the audience during Kaoru's performance. Thank you to JACLab and each of the performers for bringing this event to Sakura Con!